It was only a matter of time before somebody else jumped on the Zoku bandwagon. 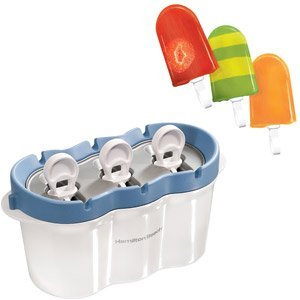 The Hamilton Beach Fastpop 10 Minute Ice Pop Instant Frozen Popsicle Maker apparently works just like a Zoku Quick Pop Maker , but at half the price. Are the frozen pops it produces just as good? Only time will tell. About ten minutes time, that is. 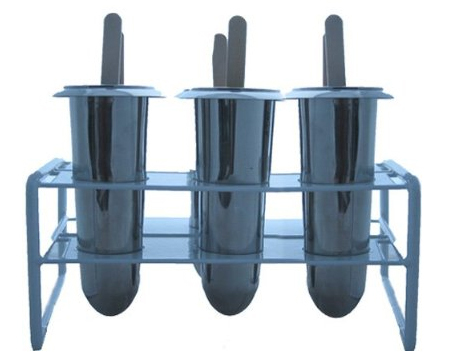 Ice, tongues and metal don’t usually mix, but that’s just not the case with the Onyx Stainless Steel Popsicle Mold . Far from being a recipe for disaster, the setup produces a six-pack of ice pops in custom flavors, guaranteeing a result of delightful frozen treats—just be sure to remove the pop first, okay? Ring Pop’s were so 80’s. Or were they 70’s? 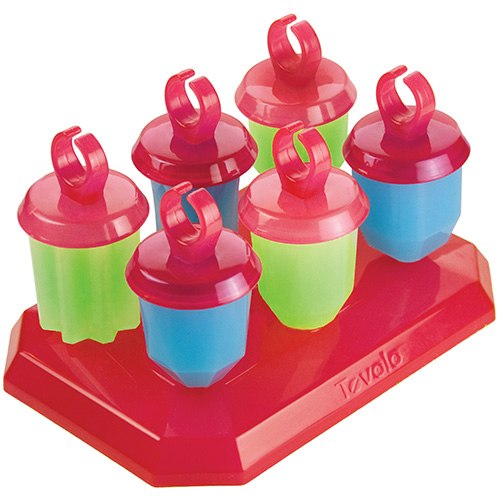 Either way, you can bring the fashion trend up to date with Tovolo Frozen Jewel Popsicle Molds. 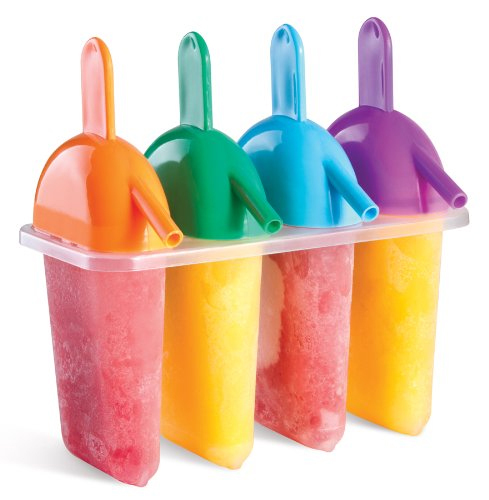 The set features six different popsicle molds that rest in a spill-resistant base. When done, just pop ‘em out of the freezer and turn your fingers into a glamorous (and sticky) fashion statement. Ring Pops have had a good ride, but every good trend needs an update. Stay ahead of the curve and catch these fashion pops before they melt.